Posted on February 7, 2016 February 7, 2016 by Jenny S. by Jenny S.
Actors Bobby Cannavale and Rose Byrne welcomed their first child together on February 1st, a boy named Rocco. Which former Girl Next Door is pregnant? Find out here! Posted on February 2, 2016 by Jenny S. by Jenny S.
Reality TV star and author Holly Madison and her husband Pasquale Rotella are expecting their second child. The couple, who wed in 2013, are already parents to daughter Rainbow Aurora, 2. 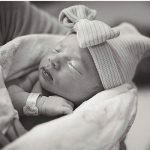 Posted on February 1, 2016 February 3, 2016 by Jenny S. by Jenny S.
Jana Kramer and her husband, former NFL player Michael Caussin, welcomed their first child on Sunday, January 31st, a daughter named Jolie Rae Caussin. Posted on January 28, 2016 February 3, 2016 by Jenny S. by Jenny S.
Hunger Games’ Jena Malone expecting her first child! The Hunger Games: Mockingjay actress Jena Malone and her boyfriend, musician and photographer Ethan DeLorenzo, are expecting their first child together.